Column Guards and Barriers are used in warehouse to increase the safety for the operators in the area and to protect the racking from damage from Fork lift trucks. 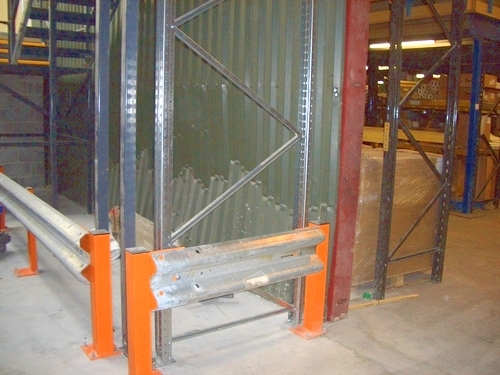 A damaged Upright can cause a serious rack failure resulting in a racking collapse causing injury or even death. 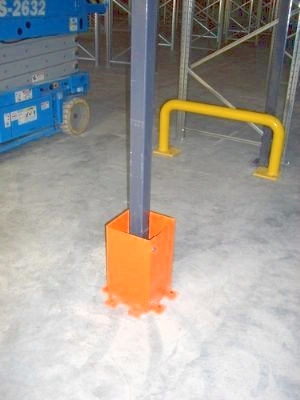 Column Guards can be floor mounted steel barriers or plastic, foam protection collars. 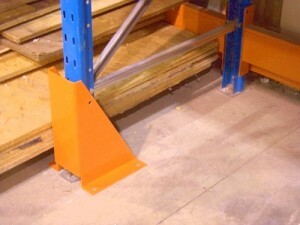 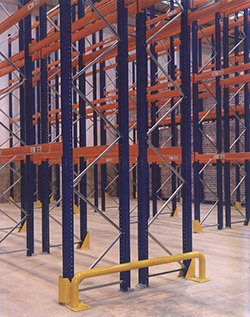 Barriers are used across the ends of racks to prevent pallets or trucks from damaging the end of racking runs. 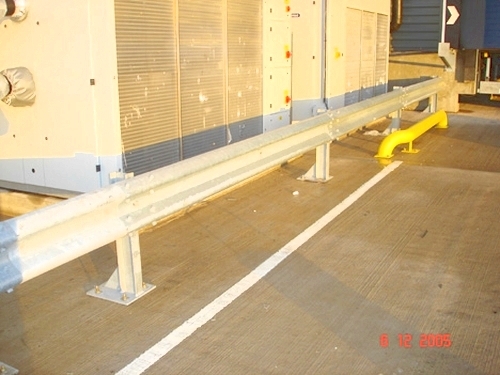 These can be rails or tubular protection bars, usually painted yellow or orange for high visability. 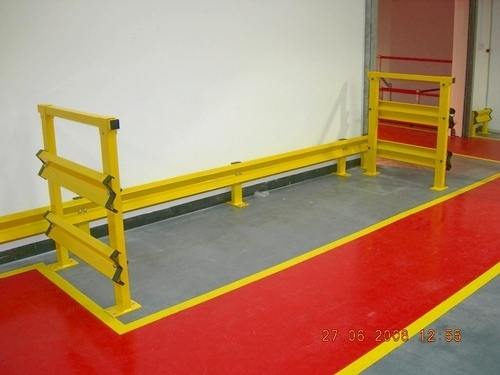 Personnel barriers and route separators are used to denote pedestrian walk ways and keep trucks away from other staff or visitors in the warehouse and production environment. 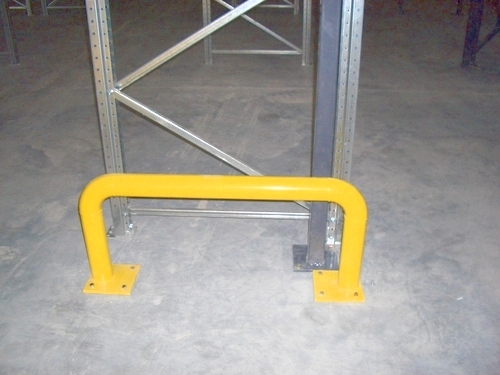 For further information on racking protection, column guards and barriers, please contact us.